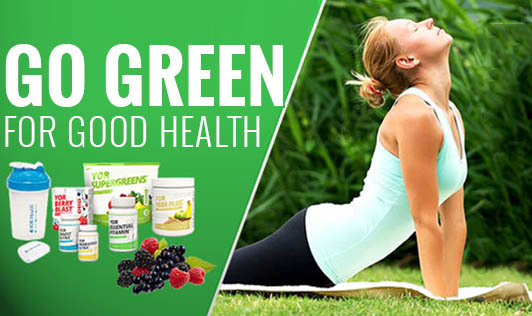 Go Green For Good Health! When it comes to healthy ingredients for cooking in the kitchen, it is obvious to pick up a bunch of greens. And why not, it is comparatively cheaper, bountiful with nutrients and loaded with goodness. There are so many varieties of greens available these days. The common greens used in our Indian kitchen are curry leaves, coriander, spinach (palak), fenugreek(methi), shepu (saava), mint,(pudina), mustard greens(used for sarson ka saag), gogu(gongura), amaranth(thotakura), drumstick leaves and many more. Some greens have a regional influence. For example, mustard greens are used more in the Northern parts of India while gongura is commonly used in the South. • Dark green leafy vegetables are rich sources of vitamin A, C, E, K and B. • The Vitamin A content in greens is excellent for skin health. Including a cup of greens everyday can do wonders to your skin. • Antioxidants present in greens slow down the aging process of cells and also aid in digestion. • Vitamin K in greens play an important role in preventing atherosclerosis, osteoporosis, arthritis and diabetes. • Beta carotene, a form of vitamin A prevents the development of degenerative eye diseases like cataract and also strengthens our immune system. • Wash green before chopping. Chopping and then washing causes loss of nutrients. • Do not overcook greens, as it can destroy nutrients. • Cook greens uncovered for the first 5 minutes to preserve the natural green color of these vegetables.